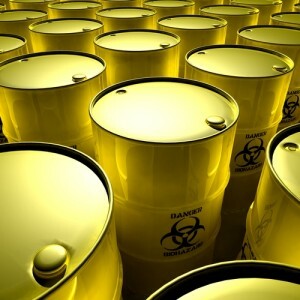 In addition to the other training modules we offer, Connection Couriers Specialist Services provides ADR driver training for Class 7 Radioactive. If you are an existing ADR driver looking to increase your potential by adding Class 7, this can be done via a one day module. 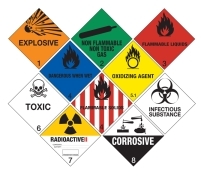 Or, if you are doing your ADR from scratch but only wish to carry Class 7 Radioactive Material, you can take the ADR training Core module and the Class 7 Module over two and a half days. As an independent training provider we have been delivering ADR Class 7 training for several years, however, our specialist operational division has been transporting radioactive material since its inception. It is this hands-on operational experience that further enhances our course delivery and ensures it is drawn from actual experience of moving radioactive material. The Class 7 Radioactive module is a more in-depth specialized one-day module compared to other hazard classes. Here you will learn the basic principles behind radioactivity, but most essentially how to handle and transport radioactive material safely and securely. We are a DfT-approved independent training provider for all classes of dangerous goods, regularly audited and verified by the SQA (Scottish Qualifications Authority).